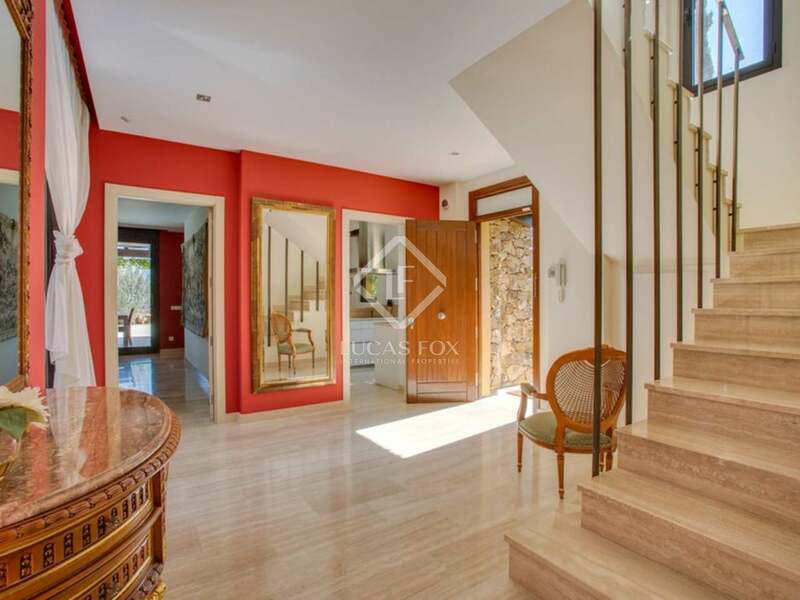 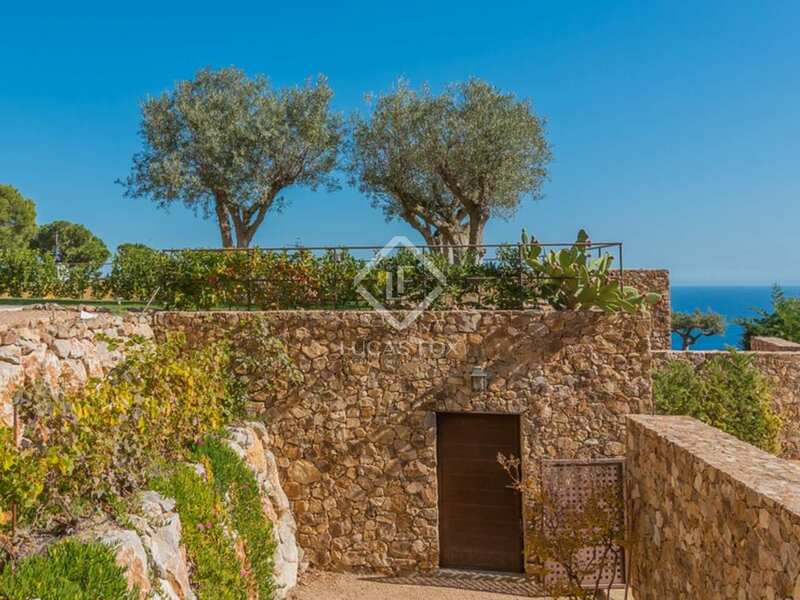 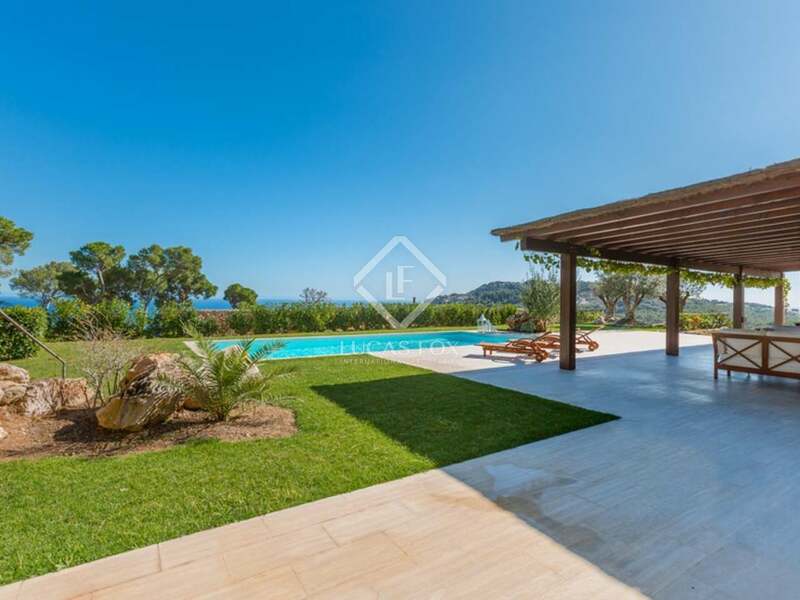 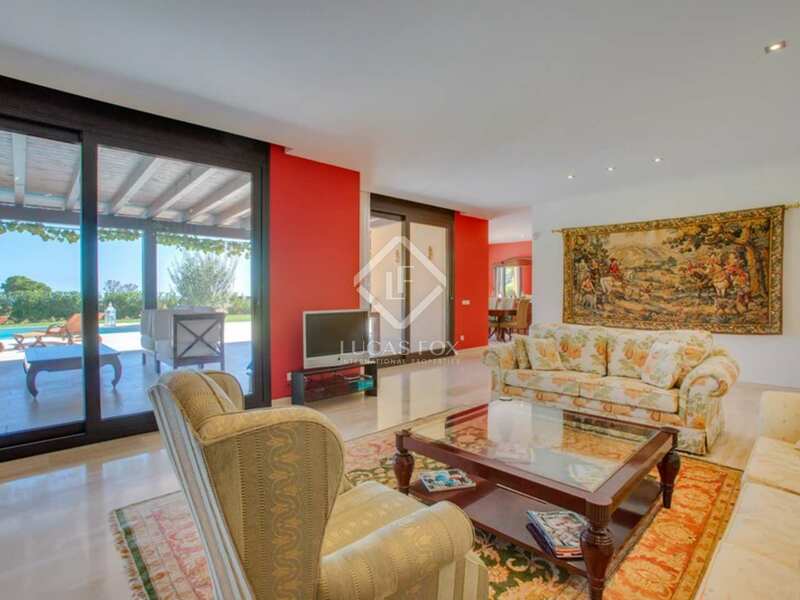 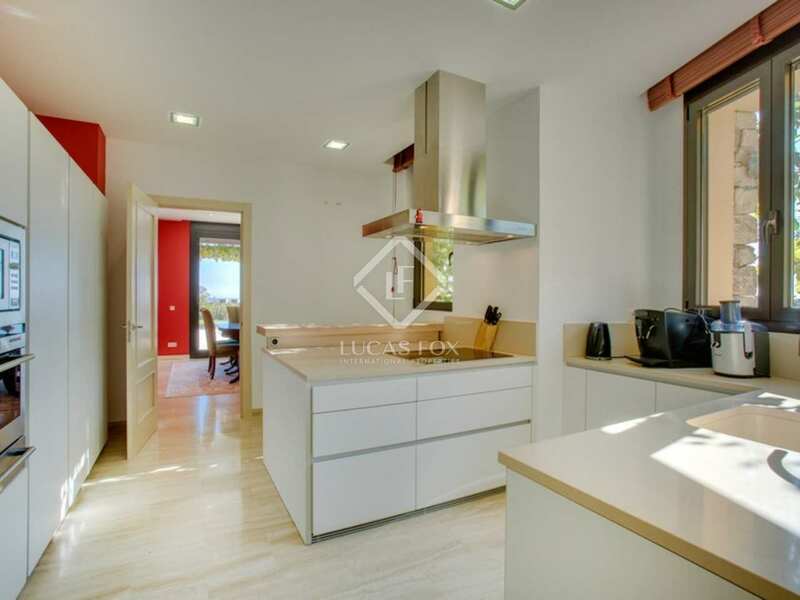 Constructed in 2013, this 5-bedroom Costa Brava property to buy is located in an exclusive, private gated development in the sought-after area of Aiguablava, close to the town of Begur. 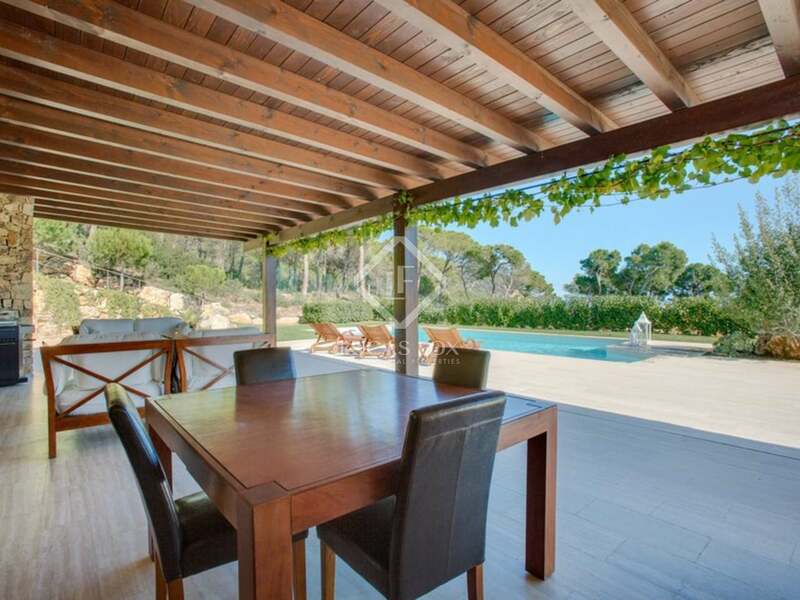 The property boasts a private pool and garden and lovely sea views and is within easy reach of some of the Costa Brava's most beautiful beaches. 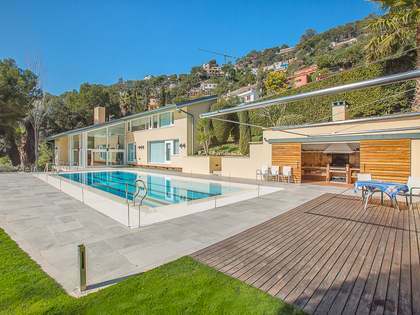 The house was designed by the famous Spanish Architect, Javier Barba, and is situated in one of the few gated residential developments in this area of the Costa Brava. 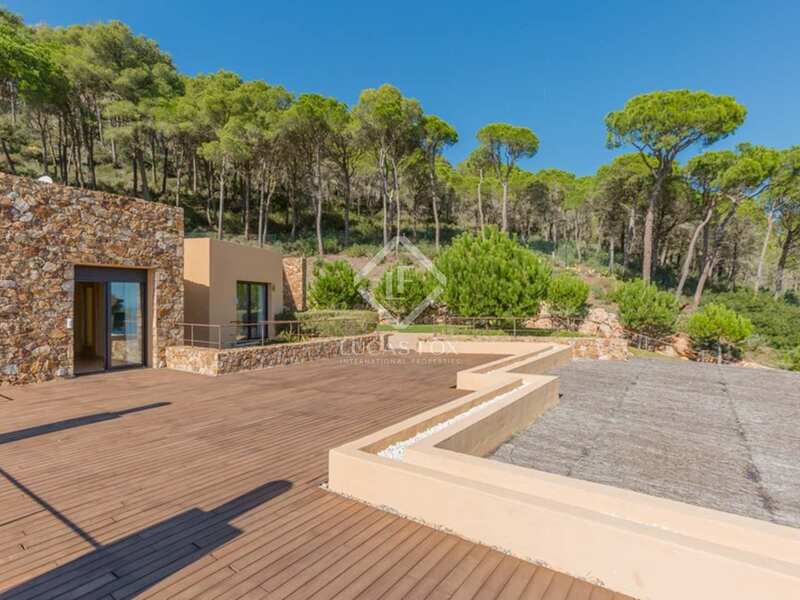 Residents benefit from 24-hour security and can take advantage of communal services such as upkeep of gardens and property maintenance. 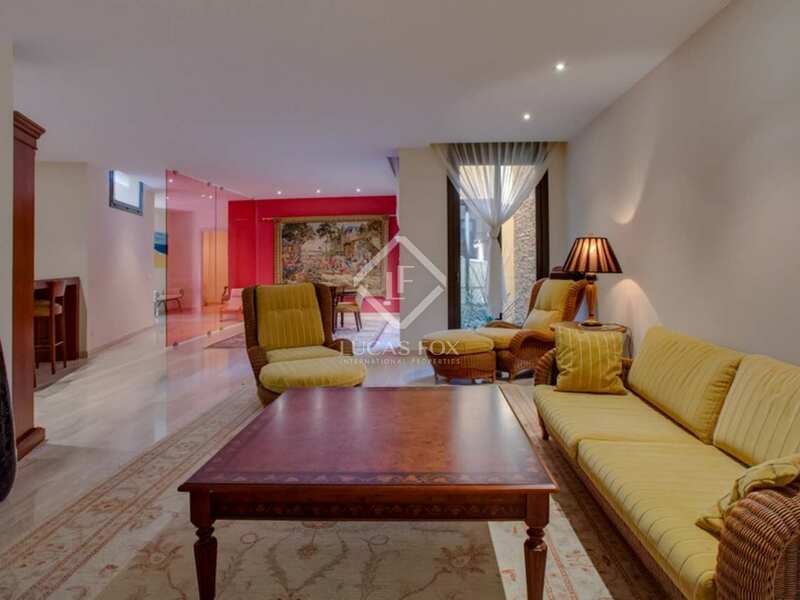 The 585m² property is constructed over two levels with 5 ensuite double bedrooms and has been finished to a high standard, including marble floors throughout. 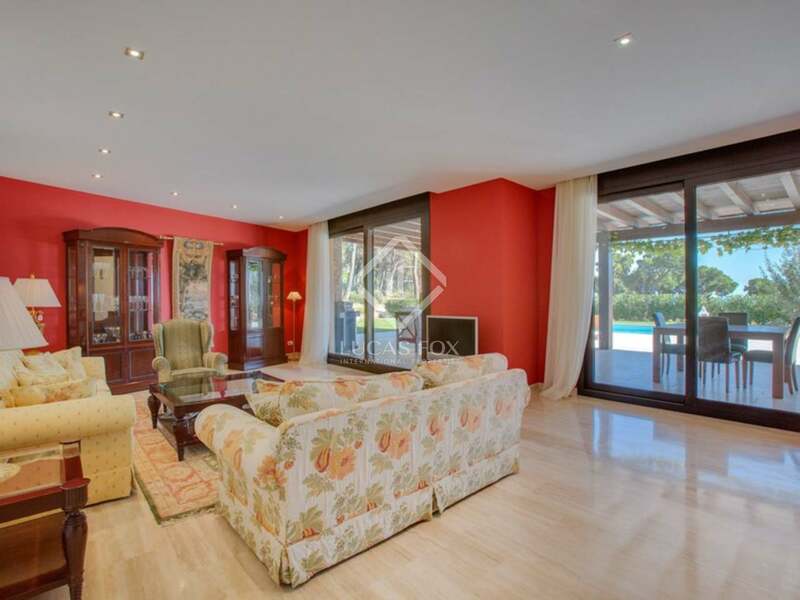 The main living room has direct access to a large covered terrace and overlooks the pool and garden. 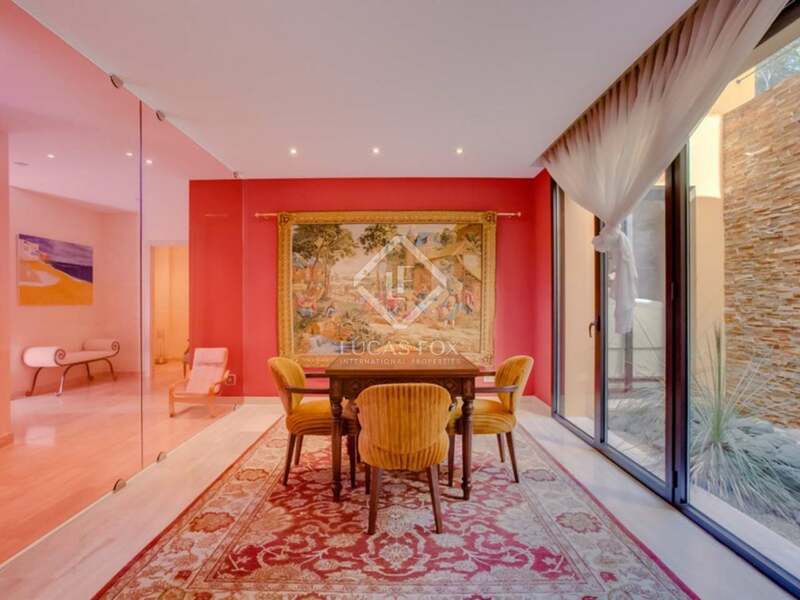 There is a second living room to the rear of the property. 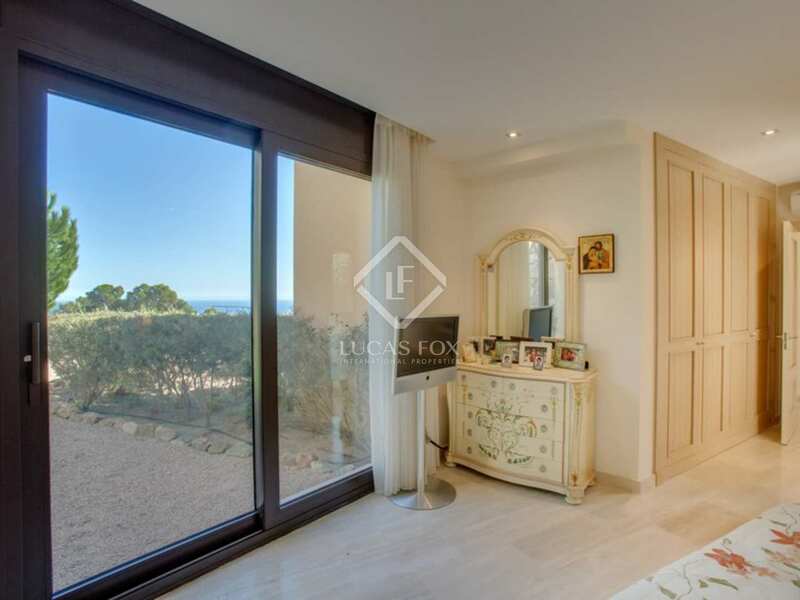 All but one of the bedrooms enjoys sea views and there is a large roof terrace at first-floor level which enjoys panoramic views of the coastline. 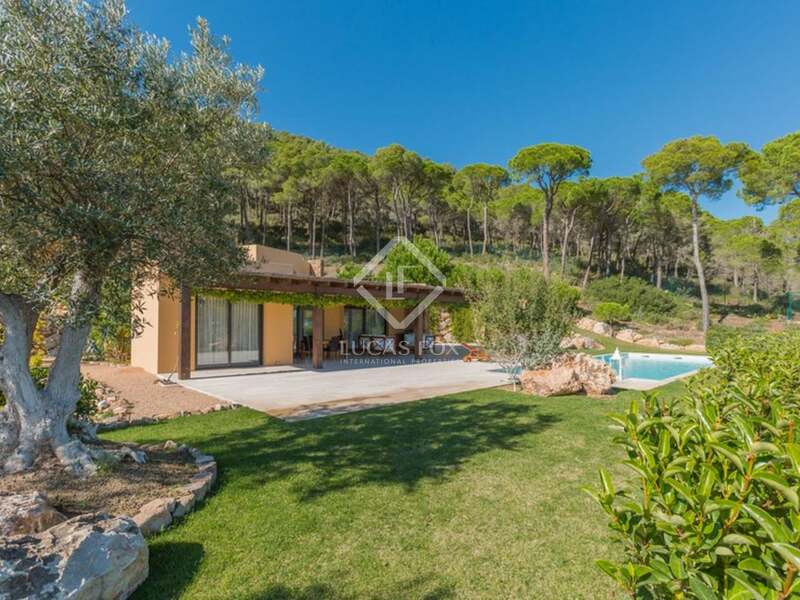 The property is situated on a private plot of 1897m² and is located at the end of a cul-de-sac with no passing traffic. 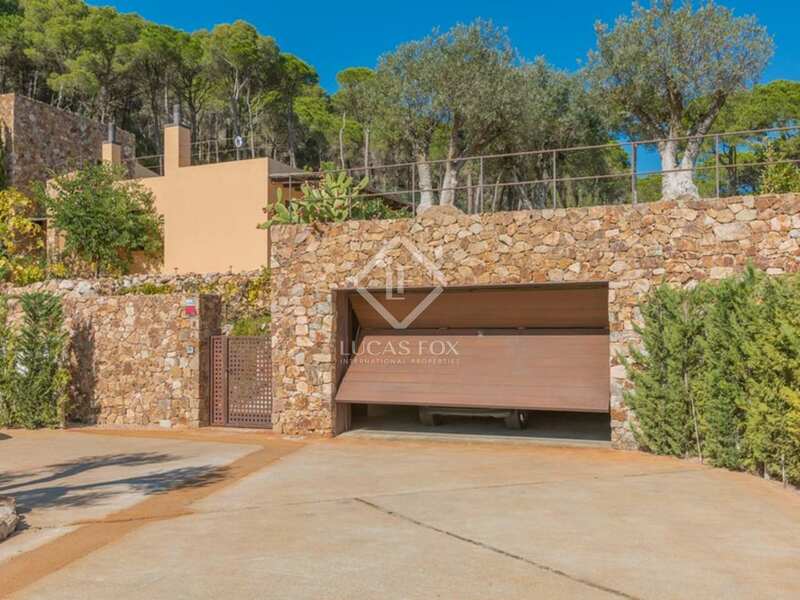 It also has its own private garage. 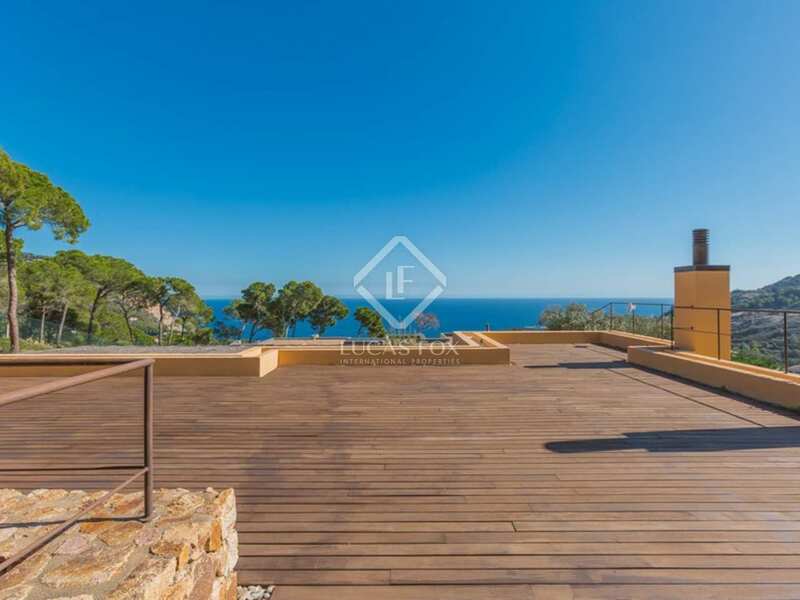 The house would make a wonderful holiday property for someone looking for a high-quality home in one of the Costa Brava's most exclusive areas. 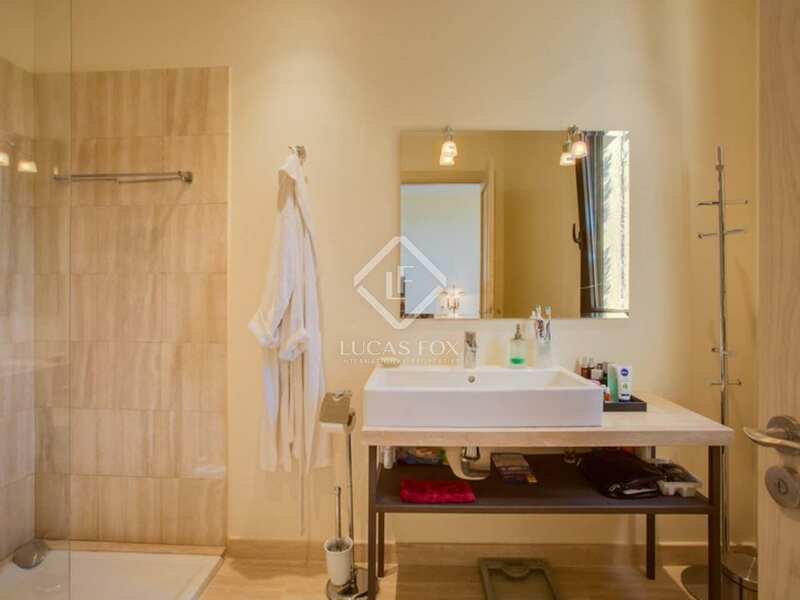 First floor: Four double bedrooms ranging from 13m² to 18m², each with its own private bathroom. 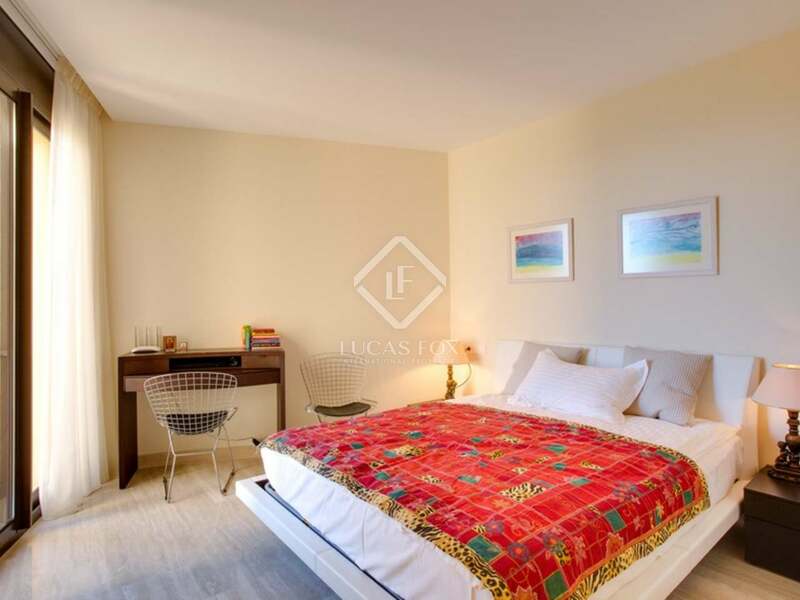 The bedrooms also have access to the garden; roof terrace of 40m². 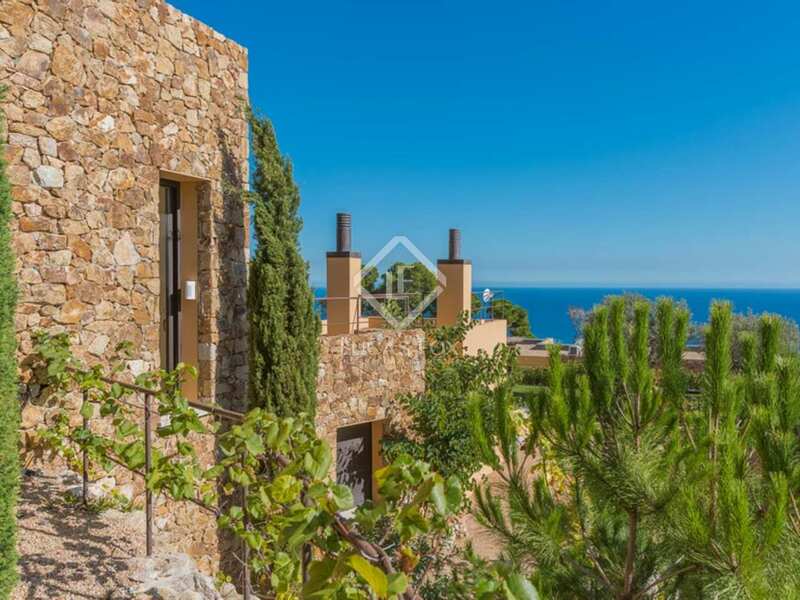 This luxury Costa Brava property to buy development is just 4km from the lovely hilltop medieval village of Begur and within a 10-minute drive of some of the most beautiful bays and beaches of the Costa Brava. 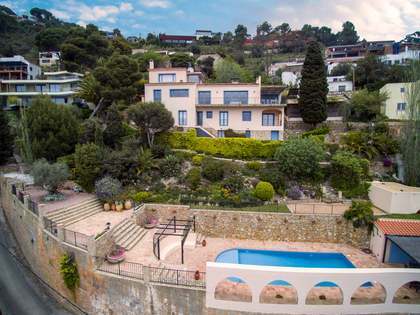 The stunning city of Girona and its international airport are just 50km away and the cosmopolitan city of Barcelona only 130km away. 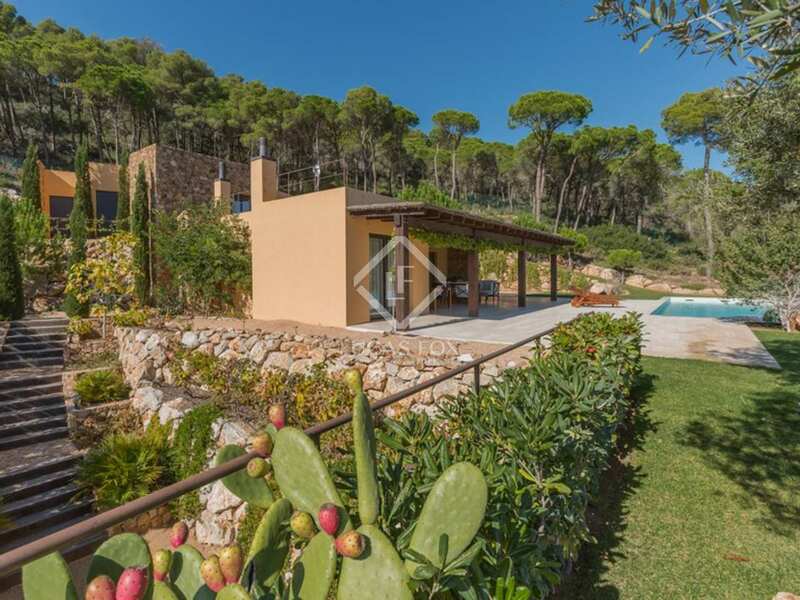 The area offers an enviable selection of superb restaurants - including El Cellar de Can Roca, voted the world's No.1 best restaurant - and a wide range of both inland and water based activities, including scuba diving, sea kayaking, sailing, wind surfing, cycling, horse riding and golf. 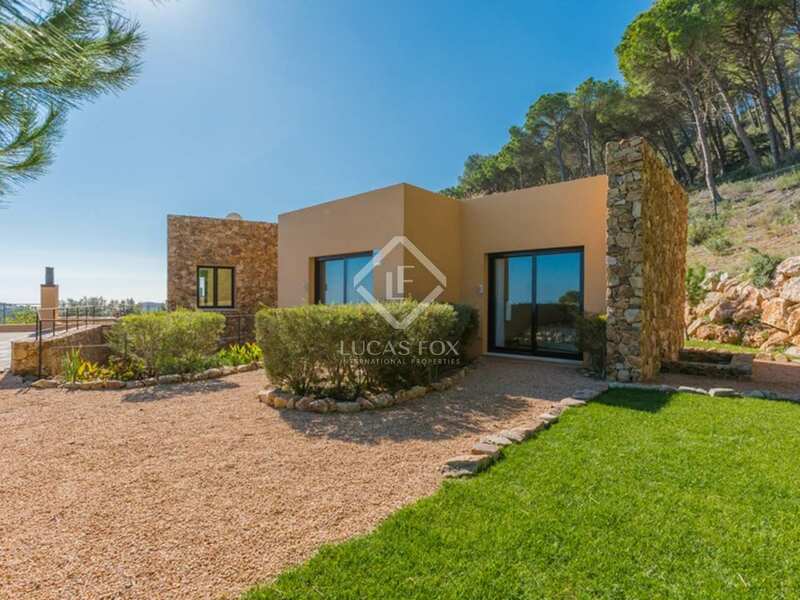 There are 2 high-quality golf courses within a 15-minute drive of the development whilst PGA Golf de Catalunya, rated Spain's no.1 course, is just 60km away. 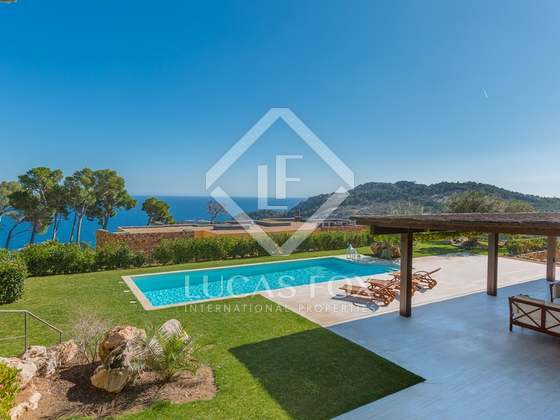 This is a rare opportunity to purchase a luxury Costa Brava property in a private gated community in one of the most sought after areas of this beautiful stretch coastline in north east Spain.